This is the Folder that is next in the Series of Predator and Prey, The African set. The previous one was the Arctic with Polar Bear and Walrus. 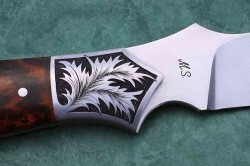 Same Knife style, the Large Hunter. 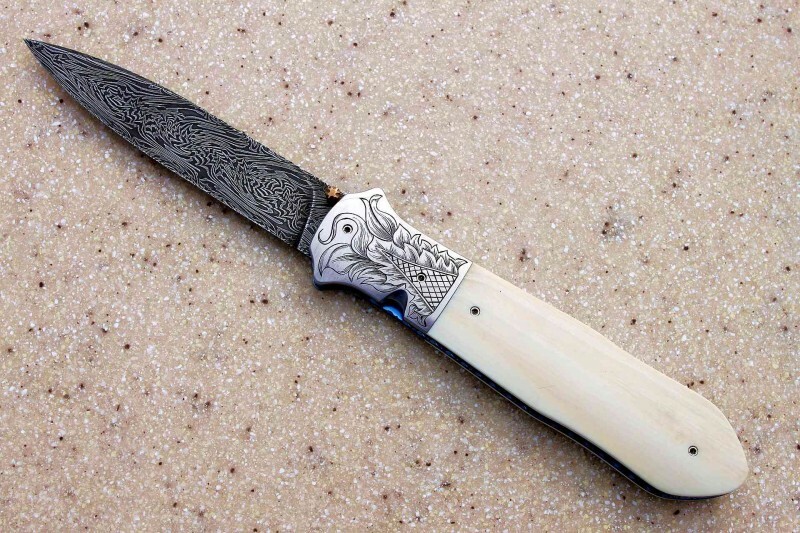 Different Damascus, engraving, darker mammoth ivory, and different filework throughout. 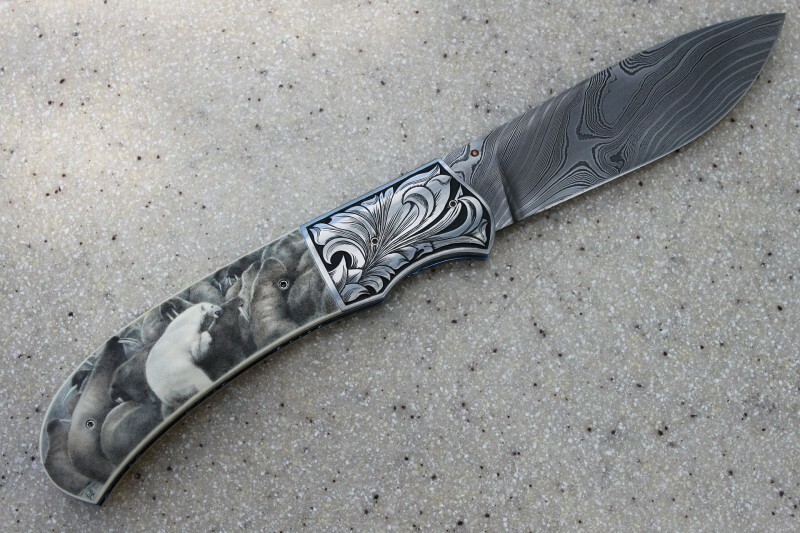 The Scrimshaw is by Lori Ristinen and everything else by myself. Thanks for looking and please leave comments. 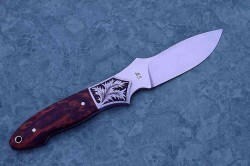 This is the Folder in the Predator and Prey series that I did for a customer. 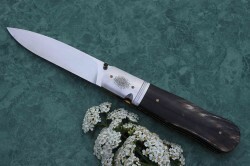 The fixed blade is also included in the blog. 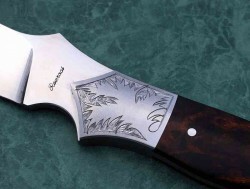 They both have the same basic shape although the folder blade had to be shortened to fit in the handle. 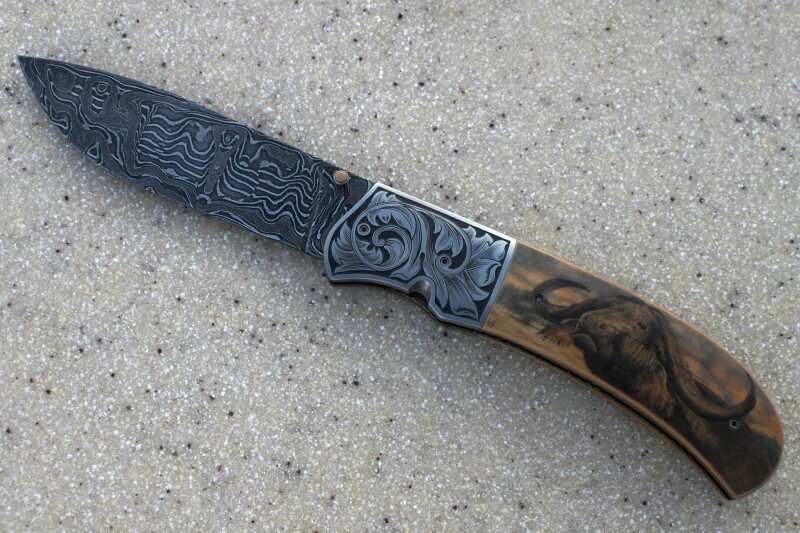 The damascus is the same as is the handle shape. The bolsters are 416 ss and I did the engraving. 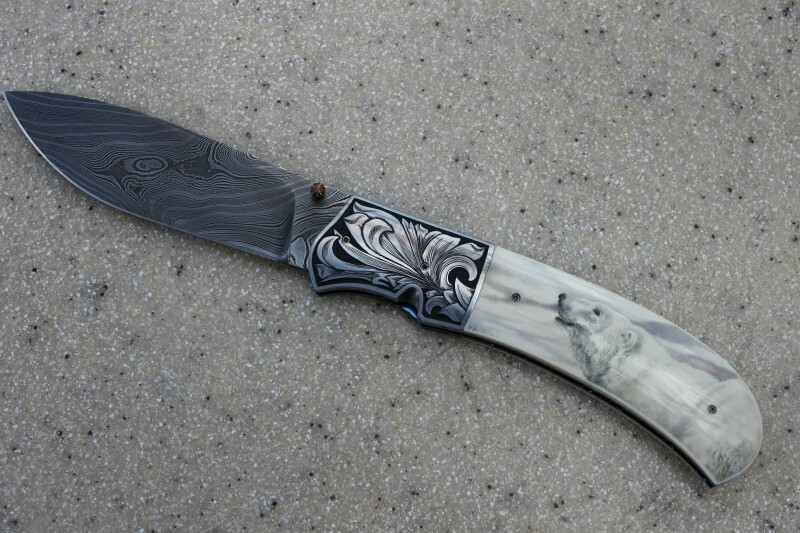 The handle material is interior mammoth ivory and was scrimed by Lori Ristinen. 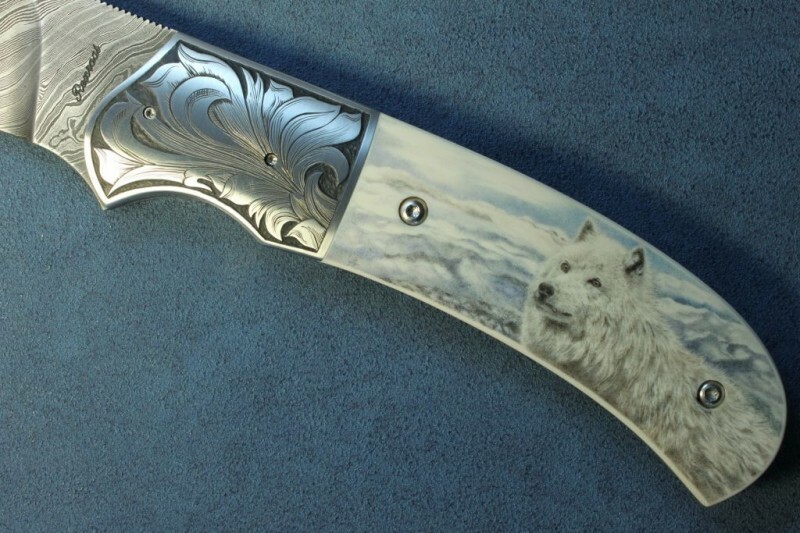 The fixed blade has a Wolf on one side and 5 Wolves attaching a large Moose on the other. They are off getting professionally photoed now so will have a better picture later. Hope you enjoy and thanks for looking. 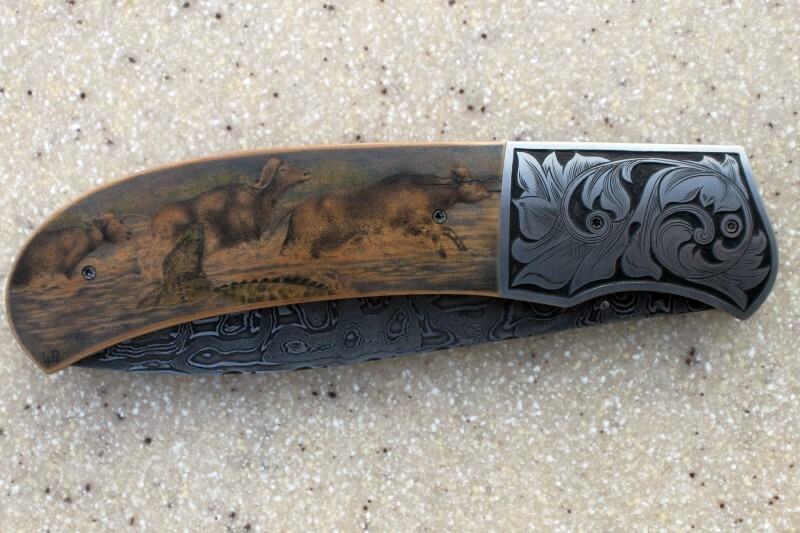 This fixed blade is part of a set that I am working on. 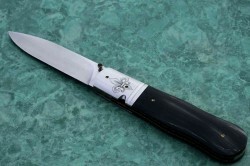 There is a folder that has the same handle and blade shape along with the same engraving. 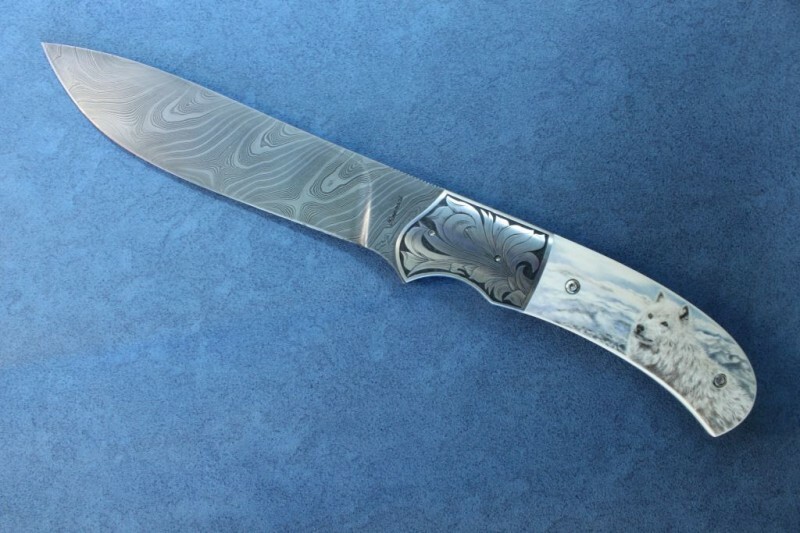 I made the damascus and the knife. Then I engraved the bolsters. 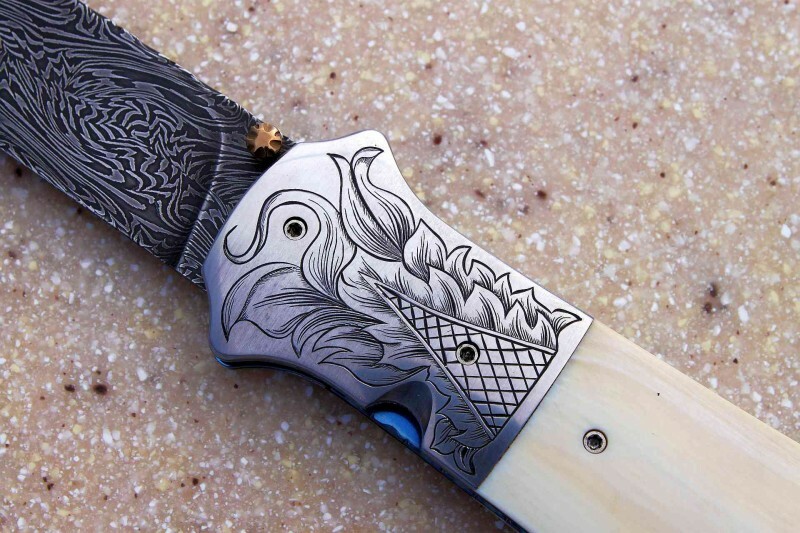 Lori Ristinen did the scrimshaw work. The other side isn’t done yet but it will have a pack of wolves attaching a large Moose. Check back, I should have the other handle scale soon.